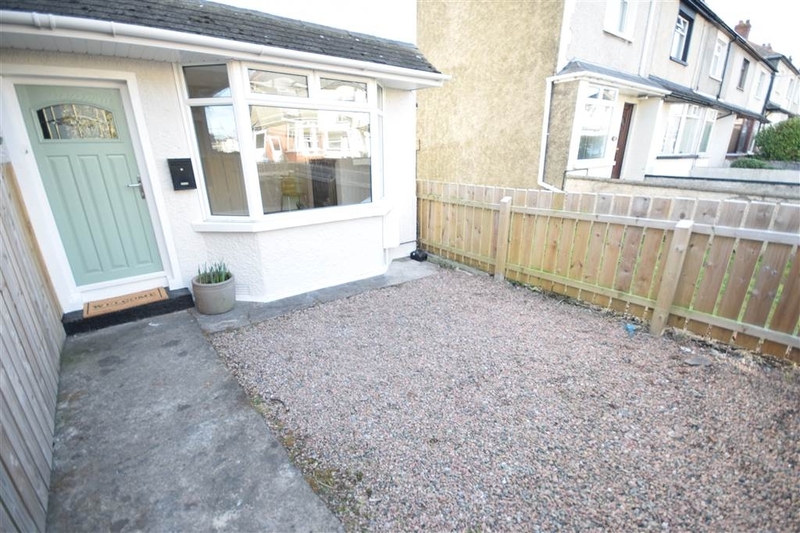 We are delighted to offer to the market this immaculately presented of of terrace villa situated in a convenient location only a short distance from Bangor Town Centre and transport links to Belfast. 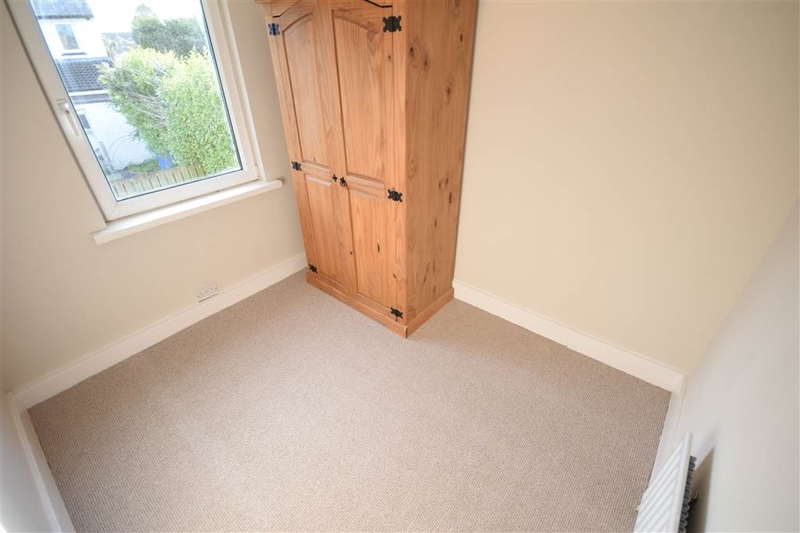 Freshly decorated internally and externally, the property offers two well proportioned bedrooms, with a built-in wardrobe to the master bedroom, and a spacious lounge with feature cast iron fireplace. 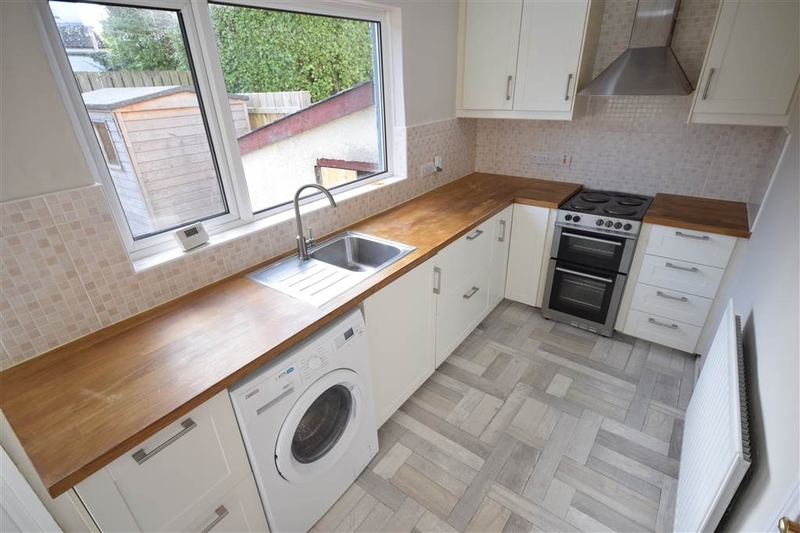 There is a modern fitted kitchen with range of high and low level cupboards, as well a three piece white bathroom suite. The house further benefits from double glazing and a Phoenix Gas heating system. Outside there are low maintenance enclosed gardens to the front and rear. 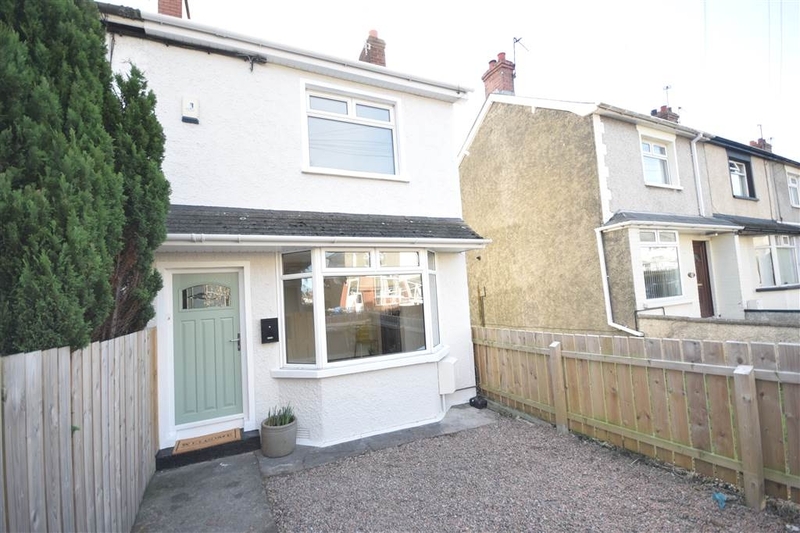 This property makes for an ideal first time buyer home or for investment purposes alike. Composite entrance door with leaded glazed panel, wood laminate flooring. 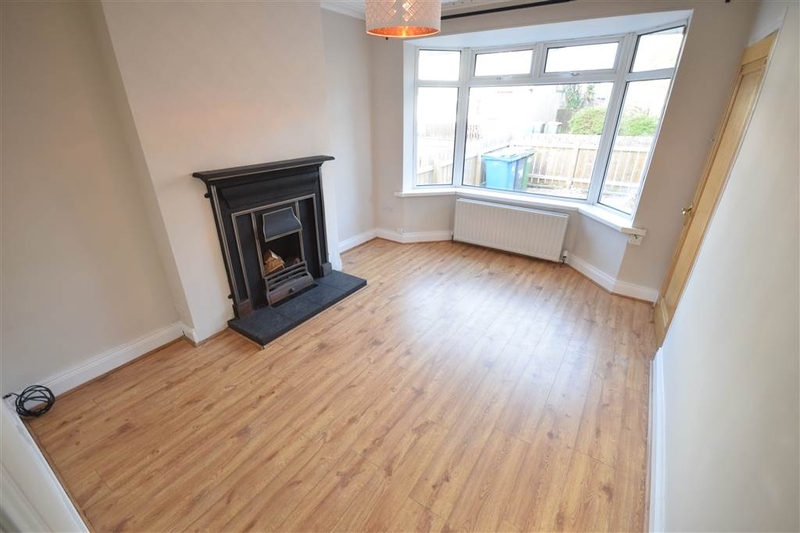 Bay window, wood laminate flooring, feature cast iron fireplace with slate tiled hearth, wood panelled ceiling, phone point. Modern range of fitted high and low level cupboards, wood effect worktops, stainless steel sink unit with drainer and mixer taps, space for cooker and fridge freezer, plumbed for washing machine, single panelled radiator, part tiled walls, under stairs recess, stainless steel extractor hood, double glazed door to rear garden. 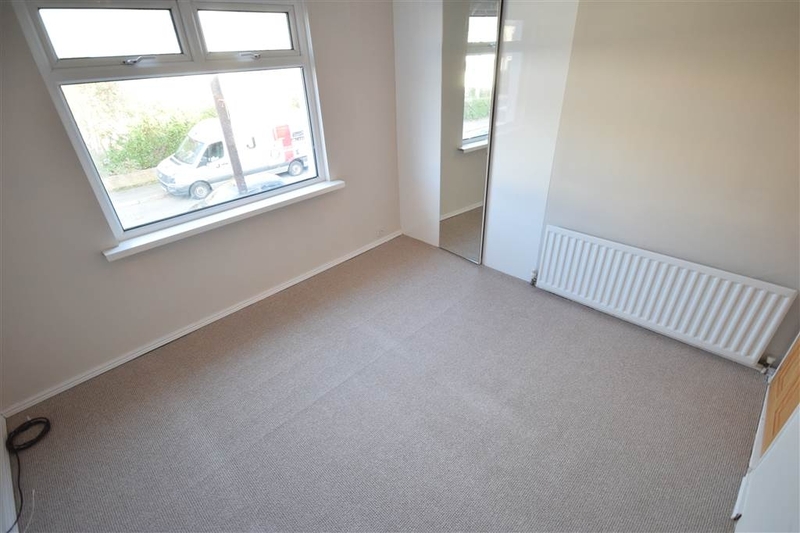 Single panelled radiator, built-in wardrobe with mirror fronted door. 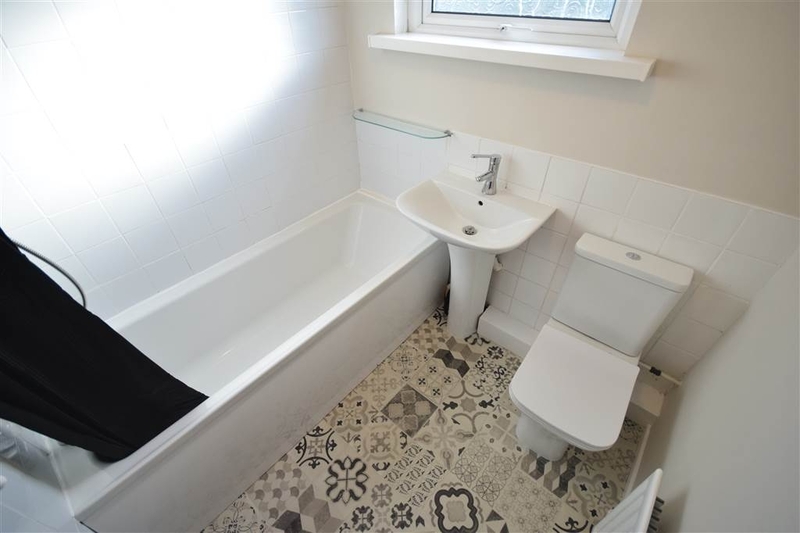 Modern three piece white suite comprising of panelled bath with mixer taps and shower attachment, pedestal wash hand basin, push button WC, single panelled radiator, part tiled walls, tongue and groove panelled ceiling. To front - fence enclosed garden area in stones, front gate. 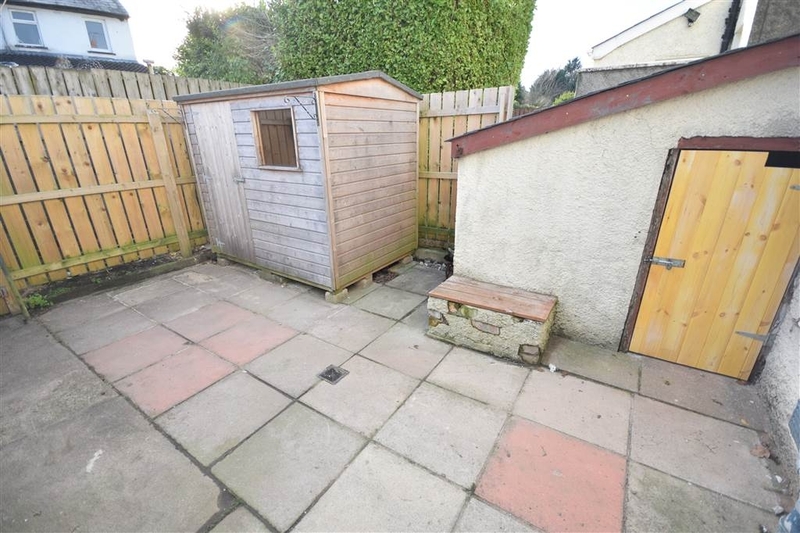 To rear - sunny aspect, low maintenance enclosed rear garden with timber shed and boiler house with Phoenix Gas boiler unit. Travellling out of Bangor along the Belfast Road, take the turning on the left as you travel out in to Elmwood Drive. Continue round the bend and No.79 is along on the right.